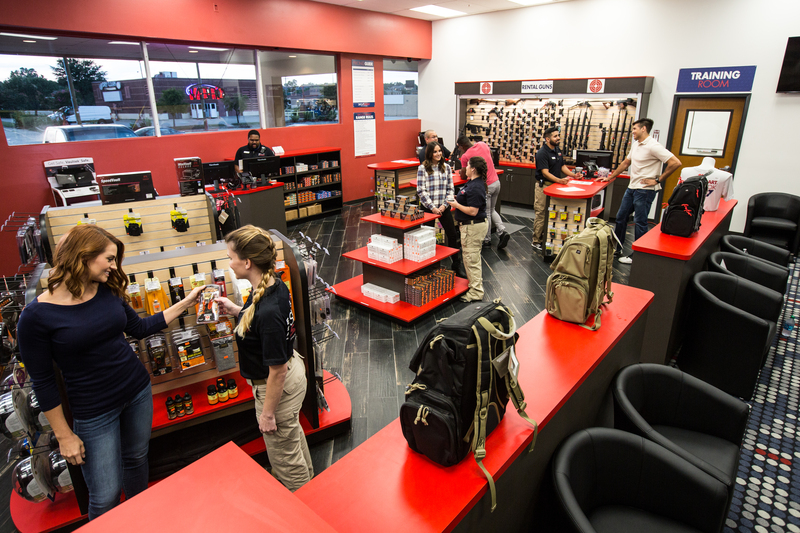 If you’re a shooter you are no doubt familiar with the wonderful facilities and people of Shoot Smart. If you’re not a shooter and are not familiar with Shoot Smart, allow me to introduce you. With three locations triangulating central Fort Worth, Shoot Smart is not only easily reached by everyone in town, it just happens to be one of the nicest places to shoot in the entire Metroplex. Clean and brightly lit with the best range equipment around, Shoot Smart is a step above other facilities. I really appreciate the friendly staff, all of whom are helpful and not the least bit intimidating or forceful. Very reasonably priced private lanes provide a great place to concentrate on your marksmanship or hang out with a friend or family member. Now, all that may mean very little to you if you’re not into shooting sports, but if you have been thinking about learning to shoot for self or home defense, or because you think it looks like fun, I have some really exciting news for you. Beginning on the 20th of this month, Shoot Smart will be participating in the National Shooting Sports Foundation’s First Shots program. In case you’re wondering, the NSSF has developed First Shots to help shooting novices take the mystery and intimidation out of taking up a new and fun sport. For newbies, shooting, like any new venture, can be a little overwhelming at first. It’s tough to know where to begin and, let’s face it, if you don’t really understand them, guns can seem a bit scary at first. 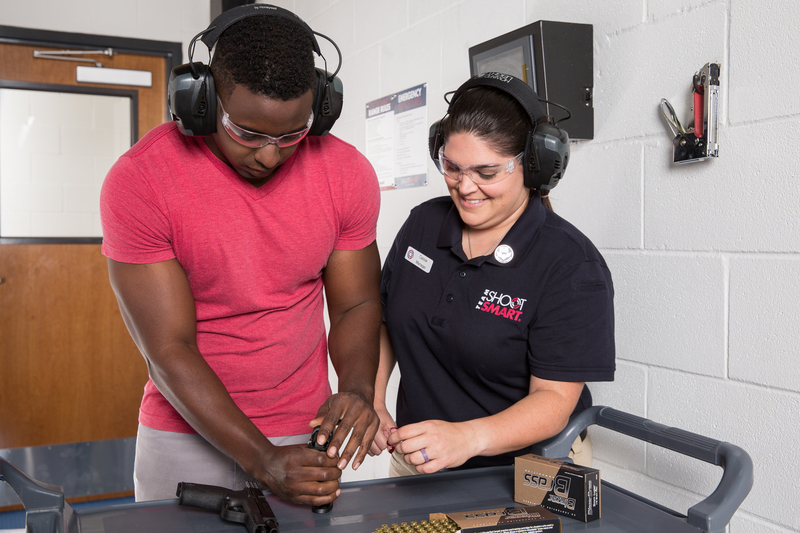 The pros at Shoot Smart who oversee the First Shots program will de-mystify shooting for you by teaching comprehensive firearm safety and handling techniques. 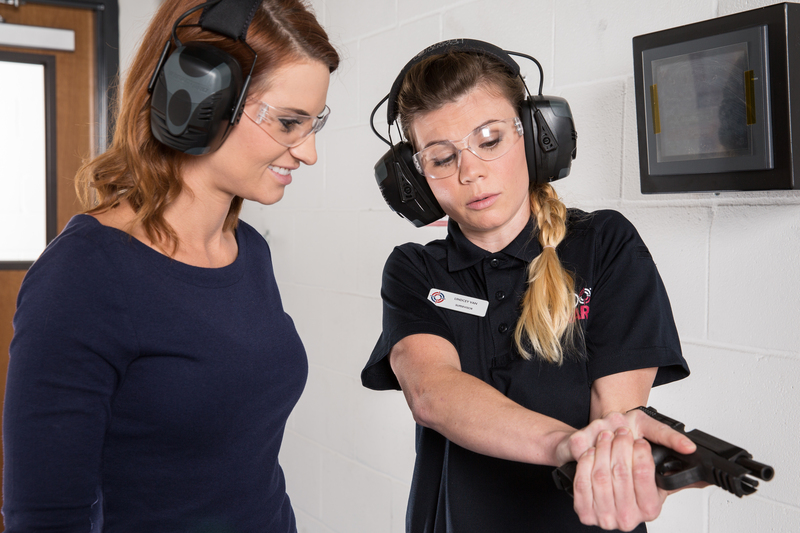 In fact, about half of the First Shots program will spent in a classroom setting learning all about guns, how they work, and how to safely handle them before you even step on the range. When you do hit the range, Shoot Smart instructors will oversee your shooting with a careful and professional eye. Joining each Shoot Smart instructor will be an experienced shooter who was once in your shoes. A complete novice who was intrigued by the idea of learning to shoot. Their presence will help make the entire process more approachable. If you decide you want to try First Shots, the process is really simple. Just, register for the location and date that is most convenient for you and show up at the appointed time. Shoot Smart will take care of everything else. 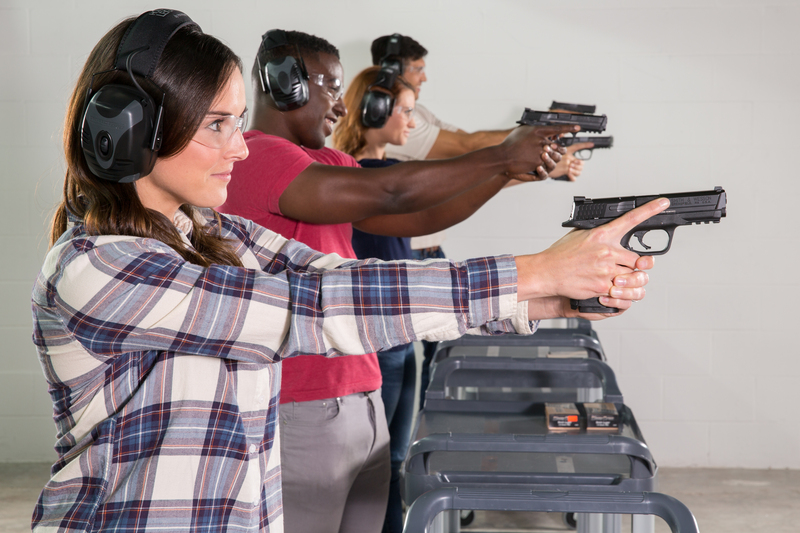 They will provide an easy to shoot .22 caliber pistol, ear and eye protection, targets and all the instruction you need to have a fun and safe first foray into the world of shooting sports. By the way, did I mention the price? First Shots is only $30! You simply can’t beat that. Finally, the whole family, including kids over 8, are welcome to participate. So, if you’ve been considering trying shooting this is probably the best chance you have to receive professional instruction at a beginner’s pace for an unbelievably low price. Click the link to register.